On behalf of Admin of JML Law, A Professional Law Corporation posted in Police Misconduct on Monday, Jul 30 2018. The men and women in law enforcement have tough jobs. Nobody will argue with that. They face dangerous and challenging situations every day that is unpredictable. Our hats go off to the police officers who perform their jobs honorably and with integrity. But we do not excuse police misconduct. California is the only state in the nation that blocks prosecutors from directly accessing the personnel files of law enforcement witnesses. In other words, defendants have a hard time finding out about an officer’s past when attempting to defend their cases. This is just one example of how difficult it is to expose bad police officers. At JML law, we recognize that it is too easy to cover up police misconduct in California. Across the country, we have reached a new era of accountability when it comes to police actions. Over the last few years, with the rise of the Black Lives Matter movement, we have seen time and time again how police officers have skirted the law when it comes to treatment all different kinds of people, particularly people of color. Have I been stopped by a police officer when I was doing nothing wrong? Have I been placed in handcuffs even though I committed no crime? Has my vehicle been searched after a minor traffic violation? If you answered yes to any of those questions, you may have been the victim of police misconduct. Often though, your treatment is even worse. If an officer has tampered with evidence, or even planted evidence, to make it seem like you are guilty, then you may wonder how to fight back. Worse, if you have been beaten or assaulted by a police officer, even when you offered no resistance, then you may have been the victim of police brutality. As a country, it is time for us to stand up against unlawful conduct by police officers. The first step is for us to bring them to court when they break the law, and that depends on you. We want to help you hold officers accountable if they have treated you poorly. 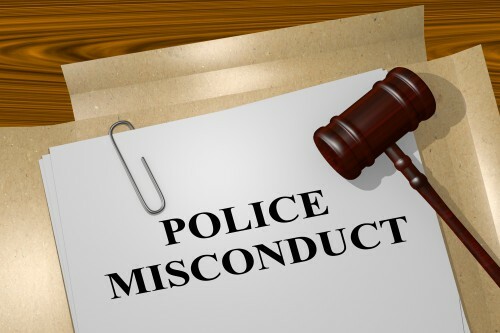 If you suspect you have been the victim of unlawful actions by a police officer, you may need a police misconduct attorney in Anaheim. At JML Law, we are standing by to take your call and ensure you receive justice. You can contact us by clicking here or calling us at 818-610-8800 for a free consultation. We will be by your side.